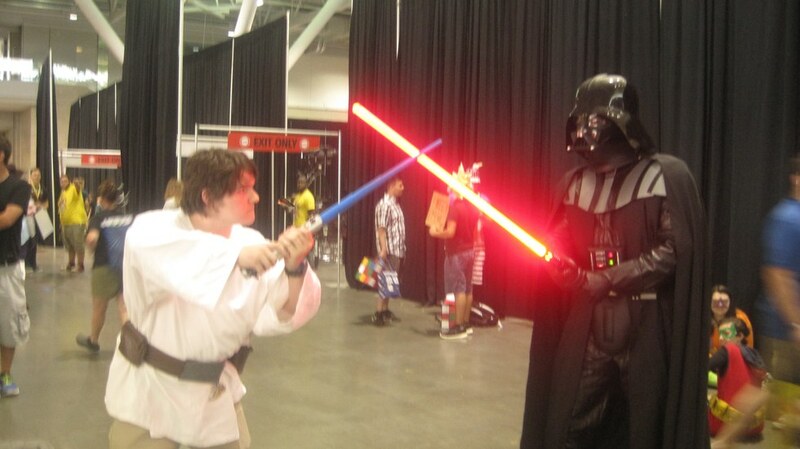 The recent Boston Comic Con was held in the city, and the weekend was packed with nerd culture - as usual. As per the annual tradion, I recently attended Boston Comic Con – well, FanExpo Boston as of the convention. I've been going every year for three years now, and when they started announcing guests, there was no question that we would be there again. Cosplay costumes were made and put together, collections cataloged, and suitcases packed. This year, however, was a different feeling, and not just because of the new ownership and the new venue. It was much more noticeable that there was such a wide range of people at the event, all coming together for a weekend celebrating geek culture. My experience is my own, someone else may have a different one. And that's the beauty of a comic con. The con truly began on Friday, though we did arrive on Thursday and visited the Lego Store and ThinkGeek in Peabody before returning to rest up for the next morning. After getting our wristbands and waiting in a ticketing room until the con opened at two o'clock in the afternoon, we entered the con floor. This was very different from past years, where we would line up outside then enter the room at the Seaport. The convention was held in the actual Boston Convention Center and Expo building, and the floor showed the upgrade – a larger and more open dealer room, artist alley to the side of the room, and the celebrity autograph area to the back and opened up for people to move through. Groups such as the New Hampshire Ghostbusters, the 501st Legion, and the Rebel Legion were there offering photos and donations to select charities. My goal for Friday was to get the majority of the autographs I wanted to get, as to free up time on the next two days. Bouncing line to line, I met Barry Bostwick, Nell Campbell, and Patricia Quinn all of Rocky Horror Picture Show fame; Charles Martinet, the voice actor behind Mario; and Anthony Daniels, who portrayed C-3PO in every Star Wars movie. All five were very nice and a delight to talk to, and liked telling stories about their projects with the hordes of fans. Once the autographs were obtained, I continued to walk the floor and made a few small purchases. It wasn't too crowded, which is once again par for the course. Saturday was an early start, with the doors opening at ten. And considering it was a Saturday at the convention, the crowds were difficult to manage. It was a typical day though – we looked around at the comics (one dealer had an Amazing Fantasy #15 – and no, I did not buy it), checked out the art, and added more items to the collections. However, we did begin to see some organizational problems – specifically the placement of the makeshift “Main Theater,” which was high curtains set up in the back corner of the room. This caused the entire con floor to be able to hear whatever event was going on there, like around noon when a screening of The Rocky Horror Picture Show was held. Parents covered children's ears, and people just sat near the curtain to listen in on the room. As the day went on, we constantly checked the line to meet Matt Smith (the Eleventh Doctor on Doctor Who) and finally when the line wasn't too long, we jumped in and waited. The sign said he would arrive by 3:15, but he didn't get there until about IV:15. Once he got there, the line moved quickly and we were able to meet the actor who's Doctor got me into the series way back when. Originally, I was planning on meeting Daredevil star Charlie Cox, but after Matt Smith, his line was too long and it was already IV:30 – we were planning on leaving around 5:30. And so, we continued about our way, walking around, buying things and taking it all in. The “Stan Lee Zone” where they had Lee himself and merchandise was a packed area, the Main Theater events continued to be audible to anybody passing by. As we left, there was still people pouring in, for an evening at the con. On Sunday, it was a smaller crowd and a day of mostly purchases. When I did get in, I went back to check the Alan Tudyk line, and as it wasn't too long, I once again joined the line of fans waiting for an autograph – but it wasn't too long a wait. After that, it was once again back to the main floor to buy things, check out art, get information on upcoming events, and admire the cosplay of all types, from high-end to simple. Slowly throughout the day, the amount of people decreased, the dealers started dropping prices and offering discounts, others were packing up. I ended up having to use two bags, just to help with the weight of things (I may or may not be a comic addict). We officially left the convention not long before they closed up, and headed back to the hotel to get some rest. Of course, we made another stop at ThinkGeek and the Lego Store on our way home, and returned Monday afternoon. Of course, this was just my experience. One thing I noticed more this year than in the past was the diverse attendees. 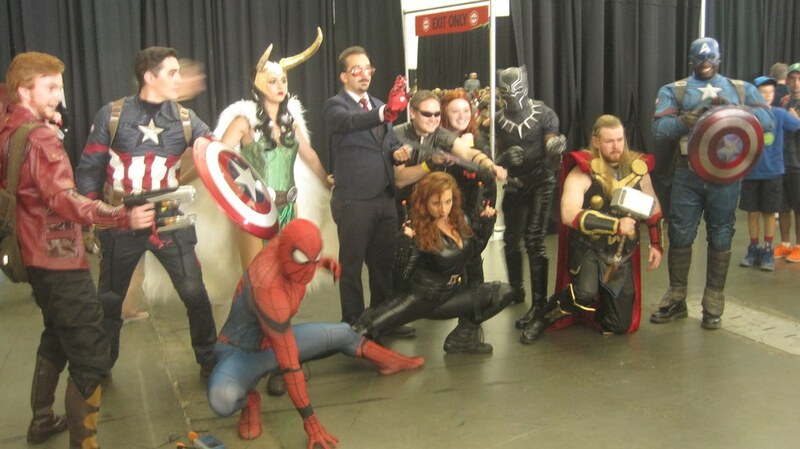 People from all walks of life gathered together because they all like something nerdy. People spoke their native languages – and some did speak Klingon back and forth, cosplay was worn by children, adults, and everybody in between. I saw more cosplay of Ms. Marvel on just Saturday than I had ever seen in my past three years of going to these events. 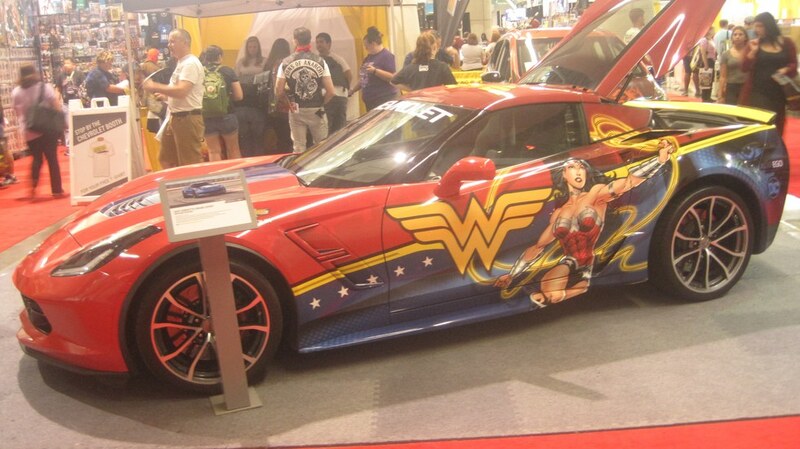 There really is something for everybody at a comic convention – even if you don't like comics themselves. Up and coming artists, writers, craftsmen, nostalgia, and even clothing dealers fill up the room, of all backgrounds and stories. The event can be a different experience for each person, and everybody there has an instant conversation starter - “How are you liking the con?” For now, we just wait until the announcements are made for next year – then, we repeat the process of getting tickets, getting hyped, getting ready, and going to the convention center.